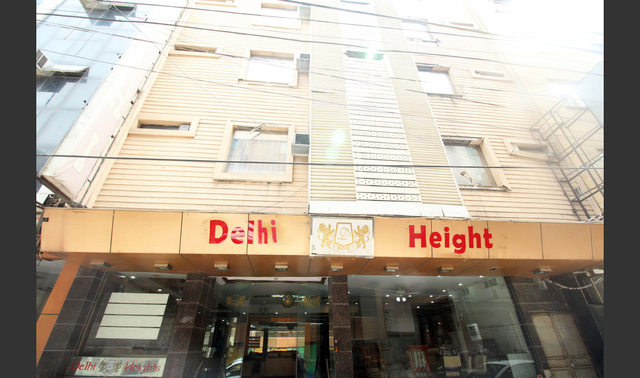 The hotel is located near some of the popular tourist attractions such as Janpath market and Jama Masjid. 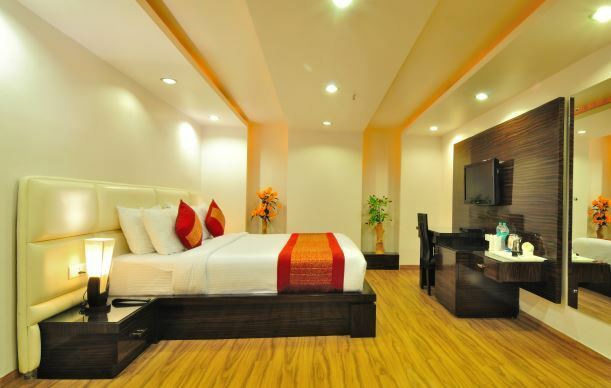 Executive Suite, 1 King Bed, Smoking, City View210.0sqft. 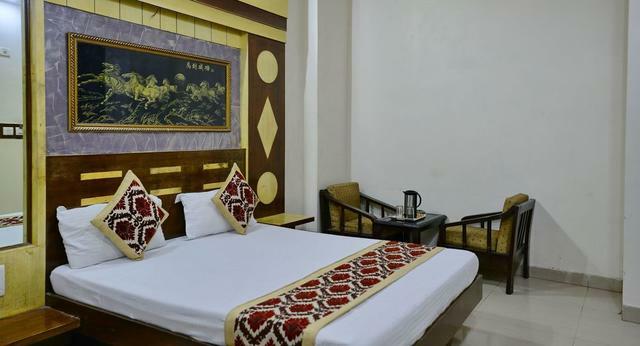 Deluxe Double Room, 1 Queen Bed, Smoking, City View190.0sqft. 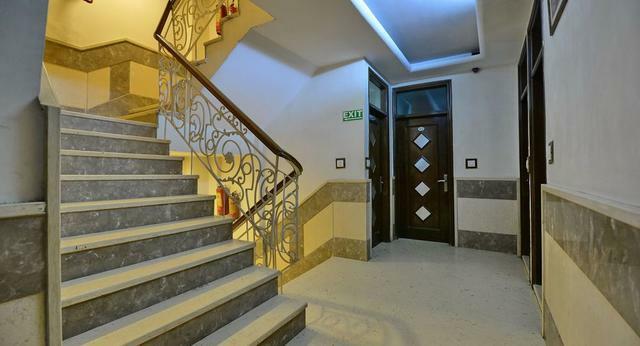 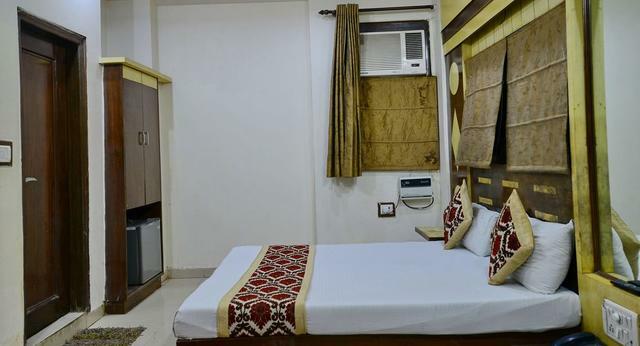 Family Quadruple Room, Multiple Beds, Non Smoking, City View240.0sqft. 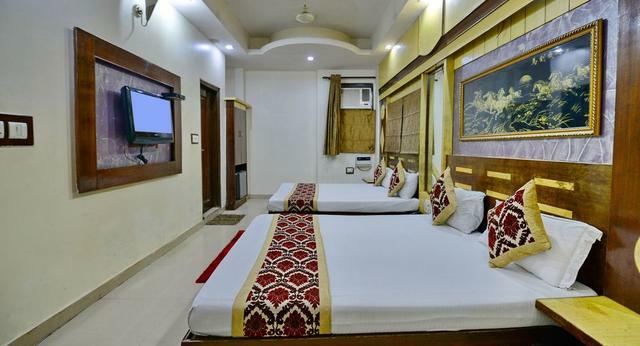 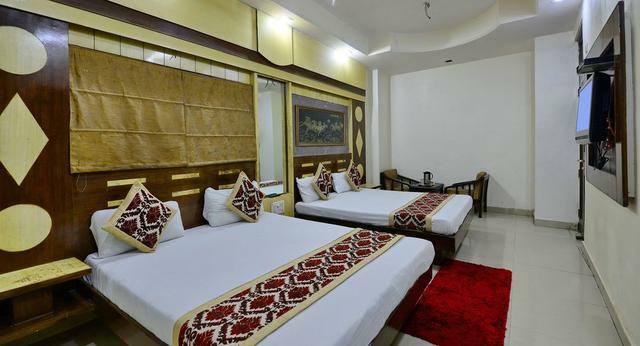 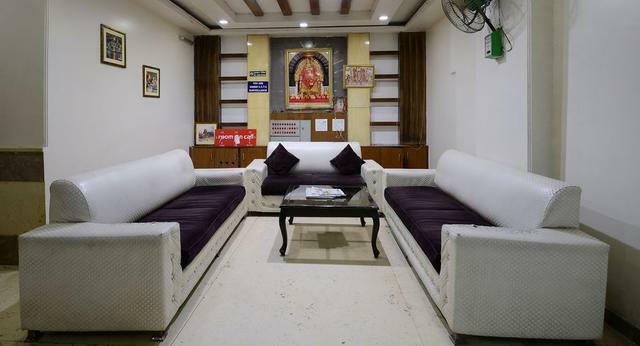 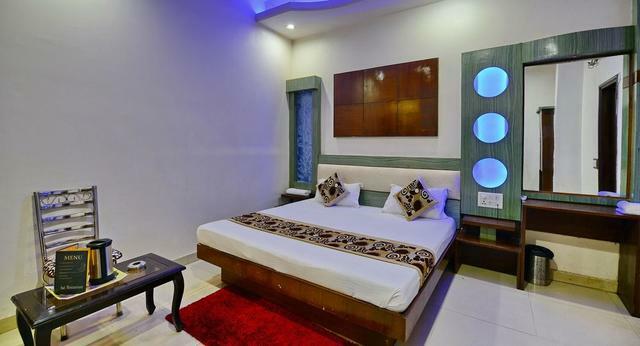 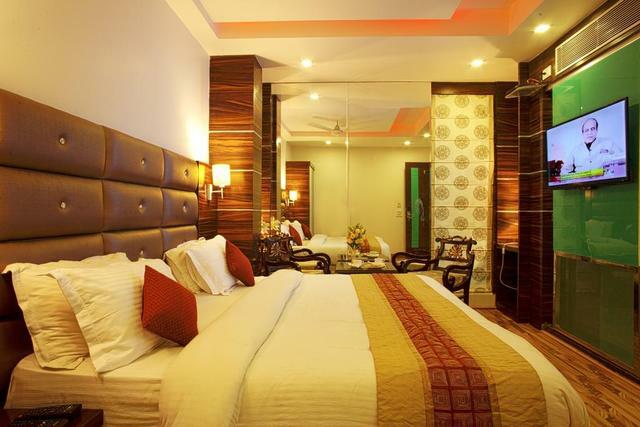 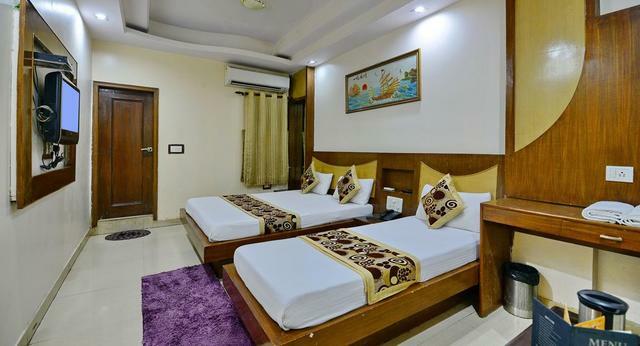 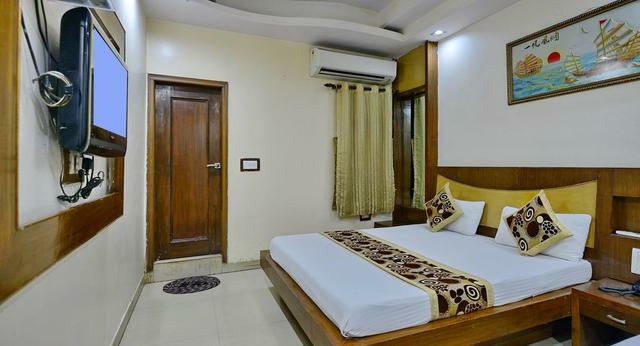 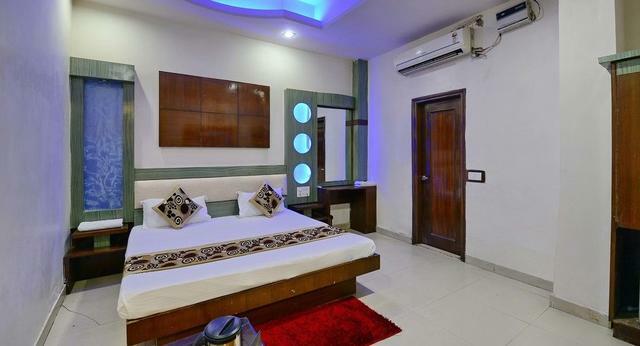 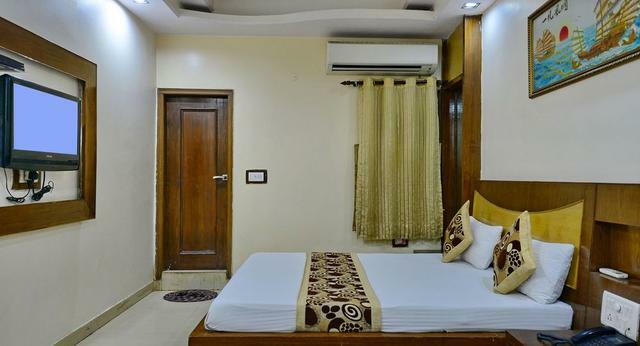 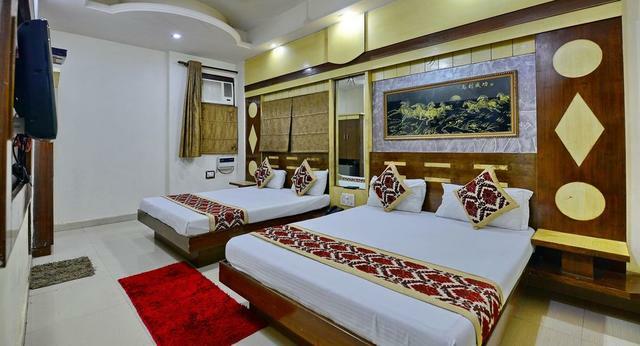 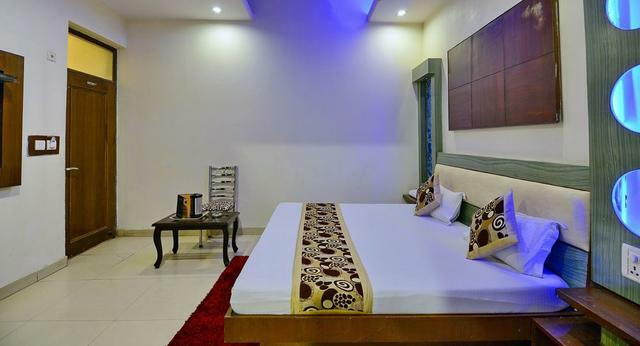 Your search for a budget 3-star hotel in Delhi ends at Hotel Sai Dham International. 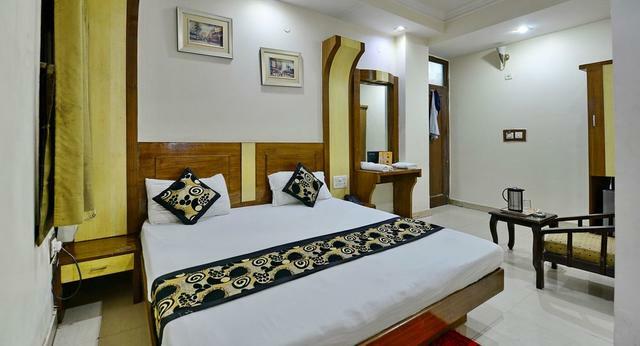 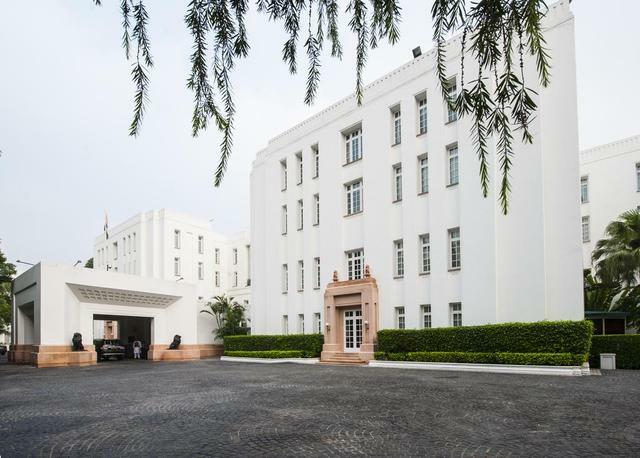 At an economical price, the hotel offers best-in-class services so that your stay in the capital city of India is memorable. 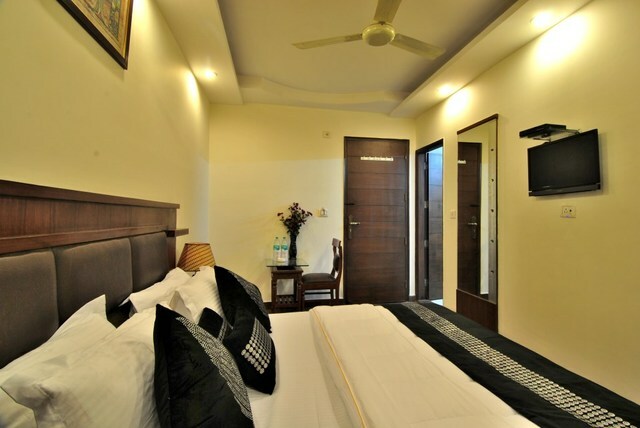 Book now and grab yourself an air-conditioned deluxe, super deluxe or family room which comes with all modern amenities. 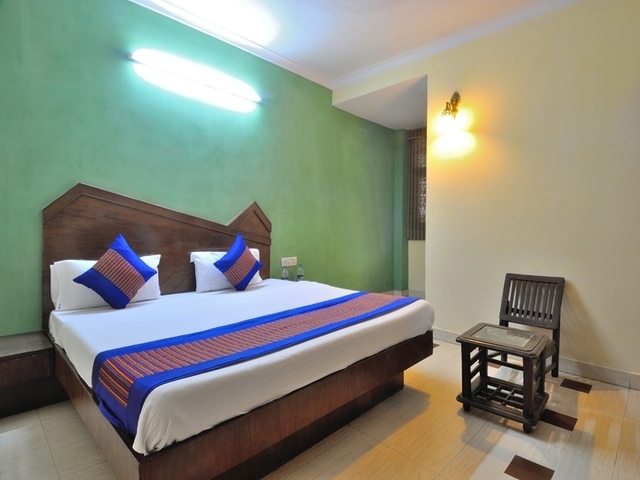 Facilities such as free Wi-Fi, laundry, a business centre and TV enhance the quality of stay. 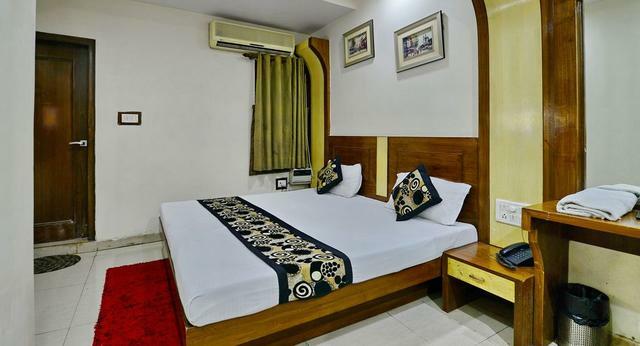 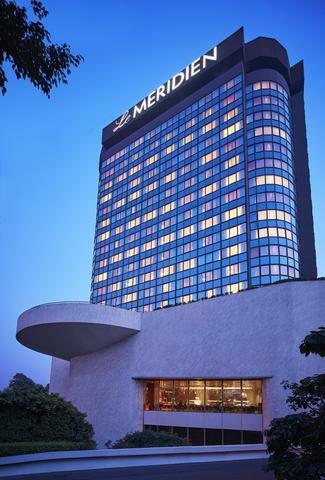 As the hotels location is close to Delhis city centre, there are many commercial hubs, train and bus stops near the hotel.Wake up to a beautiful view of the bustling city of Delhi. 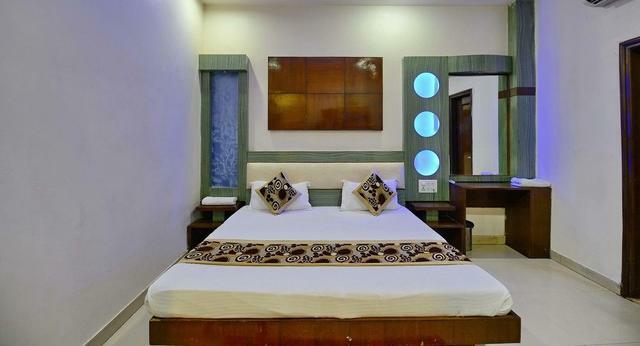 As you gorge on complimentary breakfast, plan your day touring some eminent sites in the city. 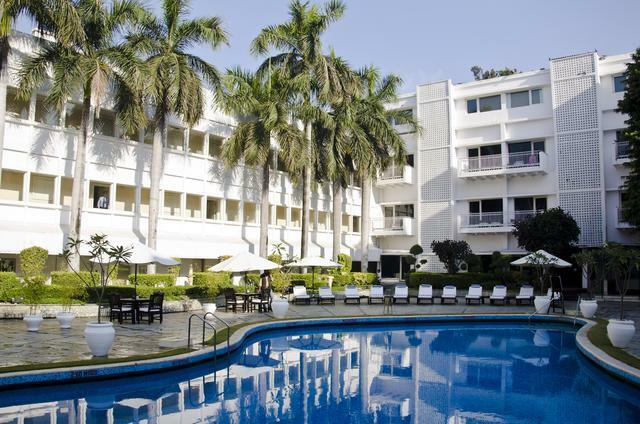 Start with Lodhi Gardens where you can take a leisurely stroll. 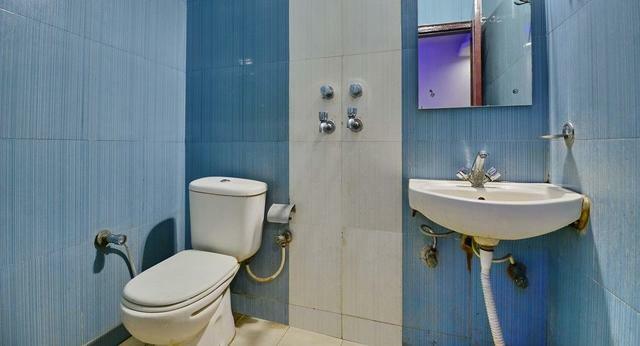 Then head to the iconic Lotus Temple. 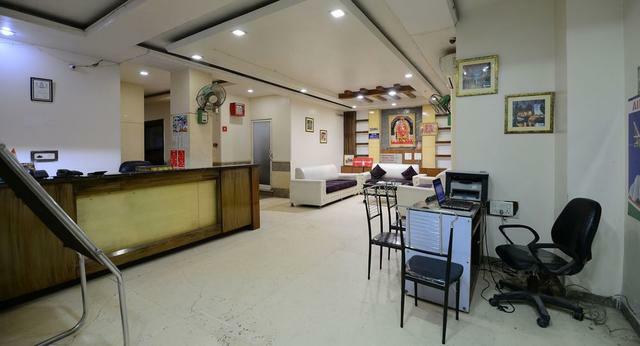 During the day when it gets really hot, seek shelter in one of the high-end malls where fashion labels and food stalls will keep you busy. 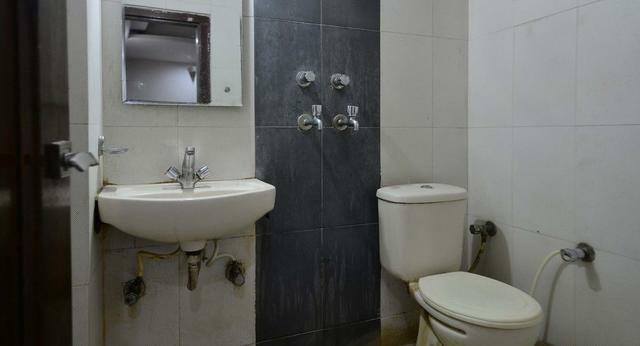 Save evenings for the light and sound show at Red Fort. 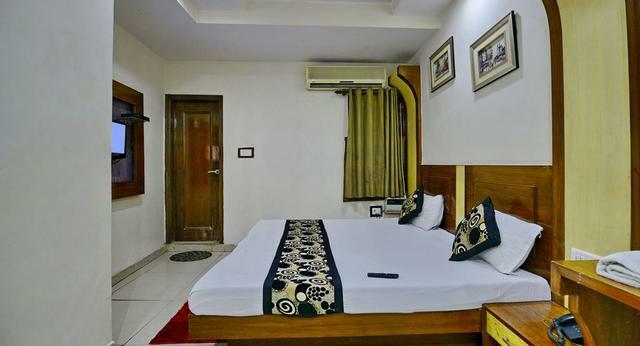 Things to do in Delhi are plenty, as the city comes alive with its nightlife, popular eateries at Hauz Khas await your arrival. 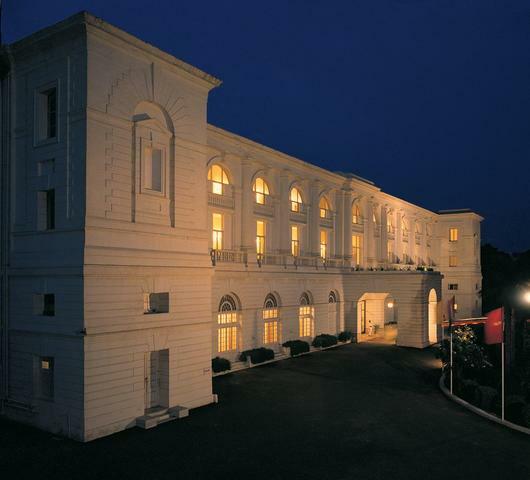 Indulge in fusion food and international favourites at pubs and upscale restaurants. 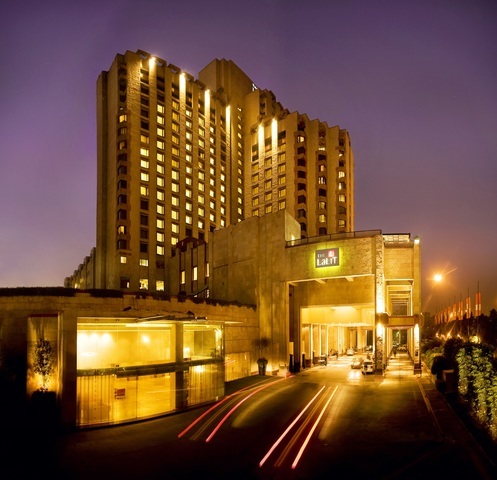 Inquire at the hotels travel desk to avail information about how to reach popular places in Delhi. 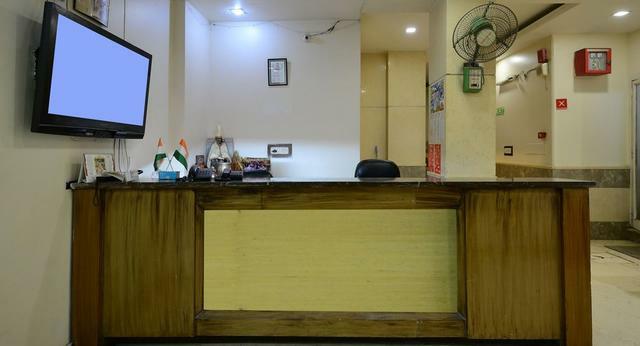 The staff is quite friendly and they help out with booking sightseeing tours, reservations and car rentals.